This year’s Northern Michigan peak fall colors will coincide perfectly with the 2015 Northern Home & Cottage Petoskey Area Home Tour, which takes place on Saturday, October 10 from 10 am to 5 pm. 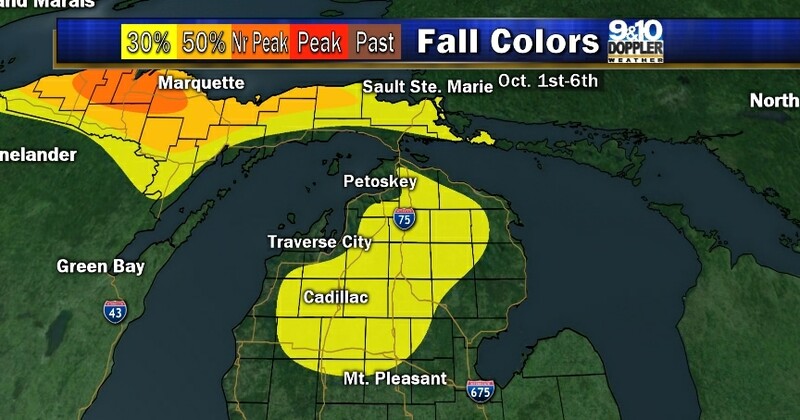 That peak fall color prediction is courtesy of Tom O’Hare, Chief Meteorologist from 9&10 News. We predict that combining a fall color tour in the Petoskey area with the 2015 Northern Home & Cottage Petoskey Area Home Tour is a win-win weekend! P.S. Each week throughout the fall season, Tom will provide MyNorth with a map showing where the best fall colors are. Check out this week’s map to see where you should be heading in Northern Michigan and keep an eye out for updates on fall colors. Find out more about the 2015 Northern Home & Cottage Petoskey Area Home Tour here. Buy tickets for the Northern Home & Cottage Petoskey Area Home Tour at MyNorthTickets!